There are many mainstream Christians who hold fast to the belief that the bible is God-breathed (they say it’s the inerrant word of God), and people who channel are “bad” and only picking up demons. But if the bible is “God-breathed” then that means it’s channeled. Why do they trust the bible over other channelers? 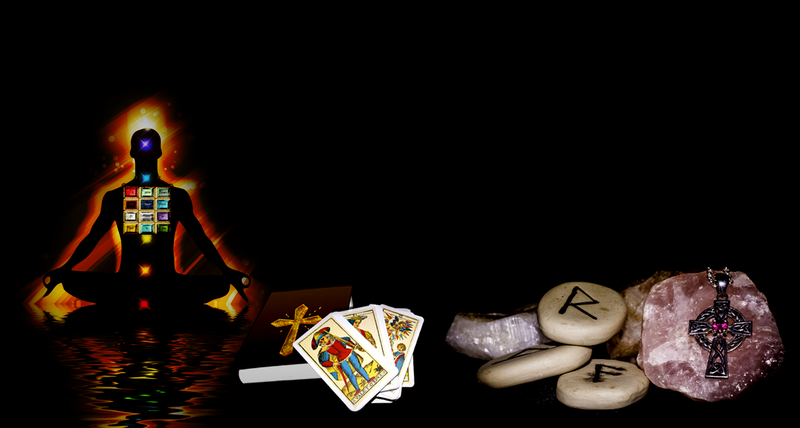 On our New Age Christianity page we go through various biblical divination examples. According to the bible, Joseph (who lorded over Egypt) was a diviner and the disciples threw lots to divine for a new apostle. By this definition & the definition of divination, every time that you pray to know what to do and believe that you have heard from God on the subject, you’ve become a diviner and if you tell other people you’ve become a channeler. Answer: When people speak of the Bible as inspired, they are referring to the fact that God divinely influenced the human authors of the Scriptures in such a way that what they wrote was the very Word of God. In the context of the Scriptures, the word “inspiration” simply means “God-breathed.” Inspiration means the Bible truly is the Word of God and makes the Bible unique among all other books. While there are different views as to the extent to which the Bible is inspired, there can be no doubt that the Bible itself claims that every word in every part of the Bible comes from God (1 Corinthians 2:12-13; 2 Timothy 3:16-17)…. …Because the Scriptures are the inspired Word of God, we can conclude that they are also inerrant and authoritative. A correct view of God will lead us to a correct view of His Word. Because God is all-powerful, all-knowing, and completely perfect, His Word will by its very nature have the same characteristics. The same verses that establish the inspiration of the Scriptures also establish that it is both inerrant and authoritative. Without a doubt the Bible is what it claims to be—the undeniable, authoritative, Word of God to humanity. There are plenty of other website and churches that would agree with what’s written above. But, once again, by the definition of a channeler, these people believe the bible to be channeled by the human writers. We can’t have it both ways, if there are contradictions in the bible then the writers were not always channeling YHWH (He doesn’t change or contradict Himself). There are multiple versions of stories in the bible, and some contradictions come because of different viewpoints telling the same story. This happened with the flood, for example. There were different amounts of animals (2 versus 7) supposed to be taken on board depending on the version. There’s also plenty of research on this. The following video discusses the Documentary Hypothesis. 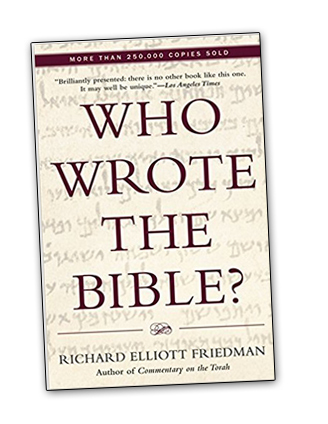 Richard Elliott Friedman wrote a couple of books discussing the various contradictions in stories in the bible and suggested theories as to who wrote it depending on the version. 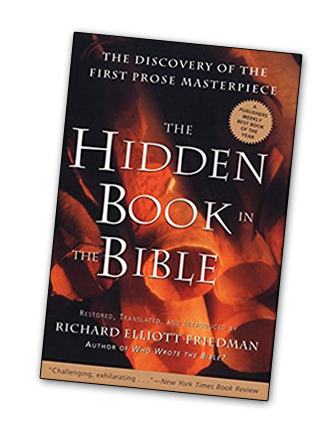 Who Wrote the Bible is the one that discusses the contention among the priests, and in the book The Hidden Book in the Bible he puts together one version (without the other version) so you can just read it as a story. He also discusses many commonalities that writer used that are weaved throughout that story that aren’t found in the other version (which, of course, suggests different writers). The chances that the bible was written by one person or the exact same spirit throughout seems far-fetched. There are so many contradictions, including some very important ones, such as when YHWH says (through the prophet Jeremiah) that He never asked for sacrifices when they left Egypt. In Acts the disciples agree. Acts 7:41 And they made a calf in those days, and offered sacrifice unto the idol, and rejoiced in the works of their own hands. 42 Then God turned, and gave them up to worship the host of heaven; as it is written in the book of the prophets, O ye house of Israel, have ye offered to me slain beasts and sacrifices by the space of forty years in the wilderness? 43 Yea, ye took up the tabernacle of Moloch, and the star of your god Remphan, figures which ye made to worship them: and I will carry you away beyond Babylon. In Acts they make it clear that the Israelites were not worshiping YHWH for 40 years in the desert, but rather were worshiping idols, because YHWH never asked for sacrifices, yet we’re told throughout the Tanakh that they offered YHWH sacrifices because He asked for them. The prophets of the Old and New Testament books said that YHWH never wanted sacrifices, hated shedding innocent blood, just wanted people to repent to be free (such as the story of Jonah and Ninevah), etc. But, according to the documentary hypothesis, the priestly documents were the last to be added. Just like the letters that talk about Jesus’s (Yehoshua’s) blood covering people came after Jesus (Yehoshua) telling people to go and sin no more. Jesus (Yehoshua) never hinted that he needed to die in order to save people. In fact, he saved people, forgave them and healed then before his death, so, obviously, that was not required. The early followers of Jesus (Yehoshua) said that he came to do away with the sacrifices, and he told us to beware the scribes (people who wrote the scripture) and pharisees. The prophet Jeremiah who wrote that YHWH never asked for sacrifices, also wrote the scribes had changed YHWH’s law into a lie. Jeremiah 8:8 “How can you say, ‘We are wise, And the law of YHWH is with us’? But behold, the lying pen of the scribes Has made it into a lie. We were told to test the spirits, which means we are supposed to listen to both sides of the story, and test it against love, and mercy, to see if it lines up with YHWH. YHWH says He hates when people shed innocent blood and that the sins of a man are on that man alone, and can’t be transferred to another. An all-loving and fair judge would never sentence an innocent animal or human to die for someone else’s sins. YHWH put life and death before us, and we are always to choose life, rather than death. There are false prophets (people who claimed to speak for YHWH) in the bible. Does that mean we stop reading the bible? No. We just test the spirits. On this website we will mention various books, videos or other media that was “channeled” from the spiritual realm. What’s going on when someone channels something is that the spirit realm is always willing to interact with us. They pick up that information, but it goes through a few filters before they have digested that information. First, if you or they have demons (meaning you haven’t stopped sinning yet), then you/they may hear conflicting things. We have a page to help with going through a deliverance and suggest reading the lake of fire article to see how the law of attraction is here for your purification process. The less sin you have the more you’ll hear from YHWH rather than demons. Your dreams will turn from nightmares, or bad (in general) dreams into more free and happy dreams also. This is because our dreams are a way we divine from the spiritual realm. Secondly, even if you are without sin (as children of God are supposed to be), we’re still a little brainwashed from our youth into false beliefs. These false beliefs will keep them/us from hearing from YHWH in the perfect way. 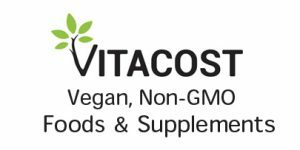 To someone who loves meat, they’ll find it very difficult to hear from YHWH that we’re not supposed to be killing animals. Whatever message He’s sending concerning that might not be translated in the right way because they’re not ready to hear it. With many New Agers they believe in a globe earth and talk about galaxies and life on other planets, etc. I don’t believe in that, but I understand that the spirit is trying to communicate with them the best it knows how and it has to get filtered through their brains and their knowledge which is sometimes lacking. We all have these spiritual blind or deaf spots. Because of these things, we have to test what we hear, just as we test what we read in the bible. I once heard this spiritual explanation for the verse about believers being able to pick up serpents and drink poison and not be hurt, and I thought it fit so well. Basically when we truly trust YHWH, come in His name/character/authority, we won’t be hurt by any lies/deception/serpents that would try to deceive us. When we resist the devil he must flee. When we have the faith of Jesus (Yehoshua) we are trusting that YHWH will not lead us astray. We are able to read both sides of a debate and find the truth in anything. We don’t fear being confused because we trust YHWH 100%. There are many mainstream Christians who fear listening to a book that’s been channeled (regardless of the fact that they actually believe the bible is one). I’m not making fun of these people. I used to be one. It’s slavery to fear. But Jesus (Yehoshua) came to free us from being slaves. He told us to agape love as he did, and perfect love drives out fear. When we fear something, we should know that that fear doesn’t come from YHWH. That bad feeling of fear lets us know that we’re not in tune with Him. The way to know if we’re one with YHWH is when we are fear-less, all-loving. and appreciative. YHWH will always give us what we pray for when we’re praying in His name. If we want the truth, that’s in His name/character. He will… He MUST gives us that. I prayed to no longer be deceived, and to be led out of deception back in 2015, and He’s never been slack on His promise. He keeps fulfilling it time and time again. There is no truth in fear. Fear spiritually blinds us. But true, 100% faith in YHWH leading us through deceptions, guides us to the truth, so that we will never have to fear falling into a deception. We can listen to people who speak truth and lies and eat the truth and spit out the lies. The early Israelites didn’t have a bible, a Tanakh, etc. They had to listen to the prophets and figure out if someone was a false prophet or a real prophet. The same goes today. People, in general, rely on a book to do the deciding for them. I believe in these last days, that, now, more than ever, we’re going to have to listen to the prophets, and follow the Holy Spirit to all truth as we were told to (by the same man who told us to beware the scribes – that includes translators). Previous post: Did Jesus (Yehoshua) really say NO ONE has seen the Father or heard His voice?